Limited time offer for Home Cleaning in Boston -- 30% off your first booking! We’re here to help you keep your home and apartment clean, no matter where you live in the Boston area. Established right here in Boston in 2012, Handy puts you in touch with cleaning service professionals. We’re proud to take a personal approach to house cleaning, to make your life a little easier. Just leave all your house cleaning needs to the professionals on the Handy platform and you can free up your schedule to spend on the things that really matter. Why spend your free time cleaning when you can let Handy do the dirty work? Candice T was awesome at her job. She arrived earlier than scheduled time, finished in time and made things shining. Best one so far. Michael did a great job cleaning my apartment. He came fully stocked with his own supplies, which is always a pleasant surprise! She was awesome! I am shocked at the price. I was paying 3x for another lady that didn't do as good a job. Recommending to all my friends. Amazing, everything was spotless. She even went beyond and the 2bed/ 2 floor apt smelled and looked perfect. I extra tipped after the job! This was my second booking with Camila. Right on time and a great job. Cleanest my apartment has ever been. Thank you so much! Why use Handy for house cleaning in Boston? We’re fast – is the boss coming over for dinner? Having a family celebration or a birthday party? Book a Boston house cleaning with Handy and your cleaning professional can be there as quickly as tomorrow morning. And because we know plans can change, it’s easy to reschedule your cleaning right in our app or on our website – just let us know at least 24 hours before your booking’s start time. We’re convenient – with our Handy app, it couldn’t be easier to manage your house cleaning bookings and schedule a complete home cleaning at the click of a mouse or the tap of a screen. Now you don’t get that with regular cleaning companies, do you? We’re affordable – House cleaning doesn’t have to cost an arm and a leg. Home cleaning services through Handy are extremely affordable – if you’re looking for cheap cleaning services, we think you’ll be pleasantly surprised. We’re reliable – Each and every home visit is back by our Handy Happiness Guarantee – meaning we’ll work until we get it right. If something isn’t quite up to your standards, just let us know and we’ll do our best to take care of it. Handy house cleaning services are simple to book and we’ll work around your schedule. Your Boston cleaning professional will always bring their own cleaning equipment, so that’s another load off your mind. And you can also rest assured knowing they’re vetted and background checked. Need a deeper clean? Add extras to your booking and your Boston housekeeping experts will get your fridge and oven cleaned in time for your next dinner party. We can make sure the laundry’s done, too! Why should I use Handy to find home cleaners in Boston? Whether you need the best house cleaning services to make your place sparkle, or you’re a busy mom with simply too much to handle, Handy is here to help. If you have a full-time job or you work the late shift, mopping floors is the last thing on your mind – so let top-quality Boston house cleaning professionals lighten the load. Coming to the end of your lease? Our move out cleaning service is just the ticket. 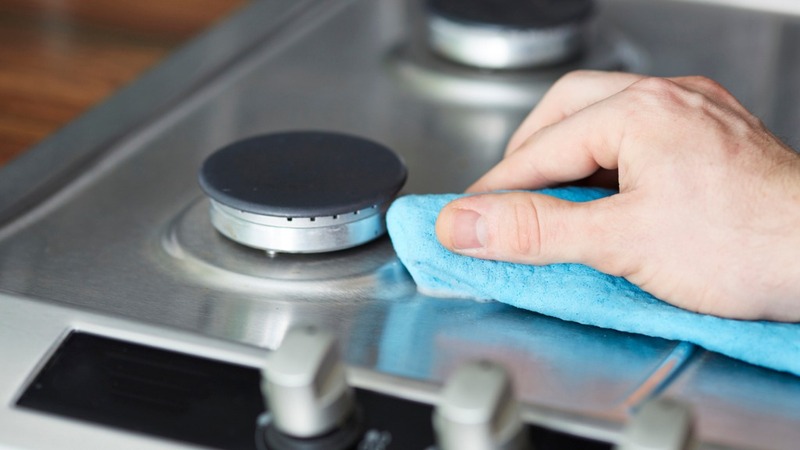 Don’t skimp on home cleaning -- ensure your apartment is in excellent condition before your time is up. Our professional home cleaning services will get your home back to its best, whether you’re in a family home in Brighton, an apartment in Back Bay, or a townhouse in Cambridge. We cover all areas of Boston, so just search for ‘house cleaning Boston’ or ‘Boston house cleaning’ and make Handy your first choice. With such a rich history, a booming arts and cultural scene and so many beautiful neighborhoods, we know you’re proud to call Boston home. And with so much going on, it’s no wonder you need Handy to look after your house cleaning services. From Southie to Chestnut Hill, we’re here to take care of your house cleaning so you don’t have to. That means you’ll have time to soak up the sights and sounds of Boston or finally get a moment to yourself. When was the last time you went down to Fenway to see the Sox play? How long has it been since you visited the Museum of Fine Arts? And have you ever relaxed with a book on Boston Common? When you have a busy job or you’ve got kids, it can be hard to catch a break – so let Handy lighten your load and help you book cheap cleaning services in Boston today.